A cold front that made its way through South Florida yesterday has given us fall-like temperatures for the weekend. 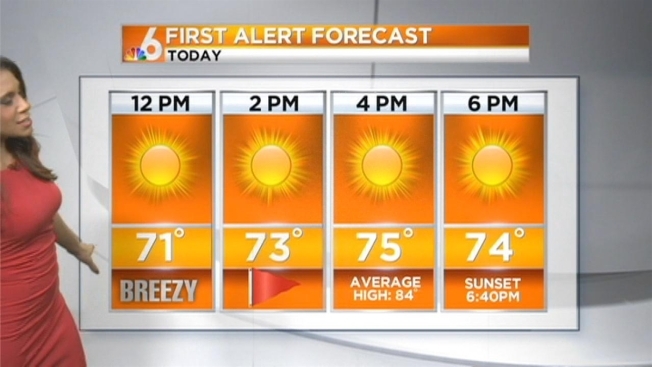 It will be sunny and breezy today, with highs only reaching the mid-70s. Remember to set your clocks back an hour tonight, as Daylight Savings Time ends at 2 a.m.
Another cold front will come through overnight, bringing even cooler temperatures on Sunday. It will be another dry day, with highs in the lower 70s and lows in the 50s. The dry trend will continue through the mid-week.